Galway is one of the top cities in Ireland that a lot of tourists are interested to visit. 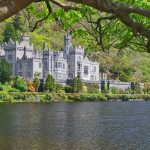 Whether you’re planning to visit Galway for backpacking or purely leisure, there are a lot of places all over the city to accommodate you which will suit your preference. 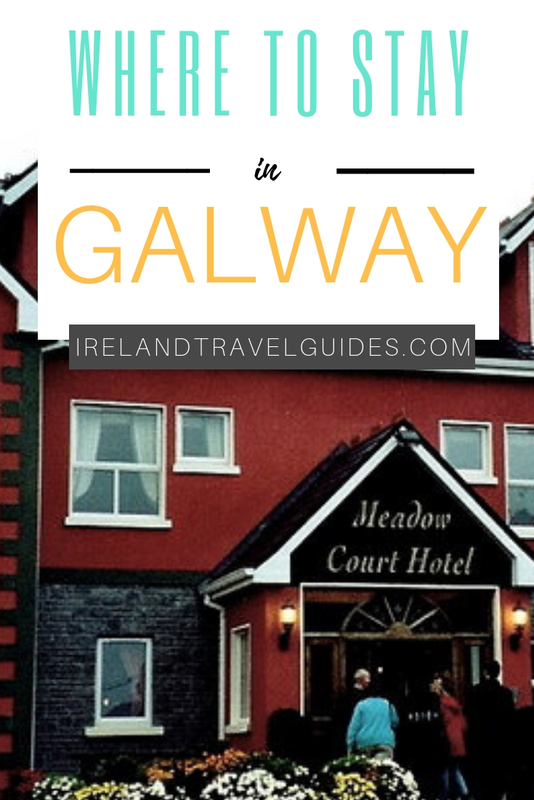 To guide you, here are 15 places on where to stay in Galway. Snoozles Tourist Hostel is one of the top-rated budget hostels in Galway. With their affordable options, you can already enjoy a comfortable bed in their mixed dormitory rooms or you can privately lounge in their budget twin rooms. If you’re looking for a budget hostel that’s strategically located in the heart of Galway, Snoozles Tourist Hostel should be one of your options. It is located near the Galway Railway Station, Eyre Square, and Galway Shopping Center. They have private bathrooms in every room with complete basic (non-personal) necessities. The hostel also hosts various activities for guest interaction like karaoke, movie nights, bar crawls and other evening entertainments. As low as $23 per night for a bed in a 10-bed mixed dormitory room. They also have a budget twin room for $96 per night. Hailed as the Top Hostel Choice by Lonely Planet, Kinlay House Eyre Square Hostel offers a budget-friendly accommodation for backpackers in Galway. You’ll even get more from your money with the hotel’s friendly staff, clean rooms, and great services. This hostel is a walking distance from the Galway Railway Station and just along the corner of Eyre Square. This means that everything is easily accessible from the hostel most especially if you’re in Galway for sight-seeing. Cleanliness is strictly observed in the hostel. The bunks also come with a curtain to give you a private space. It gives good value for your money. Mixed dormitory rooms are available for only $28 per night and their triple room with bathroom costs $272 per night. Looking for a cheap place to sleep while in Galway? Whether you’re in the city for a day or two, Sleepzone Hostel is a great find. Staff in Sleepzone are very accommodating and friendly. The location is also close to a supermarket and walking distance to pubs, cafes, and restaurants. A lot of guests also enjoyed the hostel’s sumptuous breakfast. There’s also a cheap parking space nearby if you’re renting a car. Dormitory rooms are $25 per night while an 8-person room is $170 per night. Their family room good for 6 persons costs $146 per night. Take your Galway trip away from the hustle and bustle of the city center. The Nest Boutique Hostel offers a seafront view and a chill atmosphere for guests who just want a lowkey Galway vacation. This hip hostel is perfect if you want to escape from the busy city center. Located close to the ocean, The Nest Boutique Hostel has beautifully decorated rooms which add up to the cozy vibe of the hostel. They also offer gorgeous selections for breakfast from fresh pastry to coffee. The Nest is mostly preferred by couples. Dormitory rooms are $36 per night. They also have other room options (Double room and Family room) ranging from $103 to $240 per night. 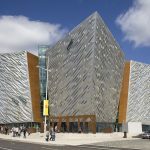 Young travelers or young at heart will surely love to stay in Snoozles Quay Street Tourist Hostel. The place is located where nightlife is very active. If pub crawling is on the top of your itinerary, this budget hostel is the one for you. The hostel is perfect for guests who want to stay up all night to party. Located just in front one of Galway’s best pub, loud noise doesn’t stop until 3 AM. Apart from that, the bedrooms and bathrooms are squeaky clean. There’s also a spacious common room with a computer and internet connection that’s free of charge. You also better check the hostel’s pancake machine. For as low as $41, you can already get a bunk bed in a mixed dormitory room. Double rooms and twin rooms are also available for $71. Whether you’re bringing the entire family or going on a solo trip, Western Hotel offers comfortable mid-range accommodation. It is also located in the heart of the city so guests are close to almost every good touristy things in the city. Western Hotel is located off Eyre Square and a walking distance from the Shopping Center and Galway Railway Station. Its rooms come with comfortable beds and a private bathroom with a complete set of basic necessities. A fine selection of continental meals is also available for breakfast and dinner. If you want to stay fit during your trip, guests can also access the Snap Fitness Gym for 10 euros. Single room starts at $147 to $181 per night. Double room starts at $147 to $214. Twin room starts at $187 to $254. Although a little bit far from the city center, The Connacht Hotel remains to be one of the Top Picks in Galway with its great service and good value for money. The rooms are very modern featured with free and fast internet access. Necessities like hairdryer and iron are also available. For breakfast and dinner, guests are welcome to enjoy a warm meal in Reubens Restaurant. There is also a bus stop nearby which is the primary transportation source to the city center. The Connacht Hotel offers a wide variety of rooms. They have standard rooms, superior rooms, and even Family suite rooms– all these are priced accordingly from $129, as the cheapest room, to $250. A modern boutique-style hotel in the heart of Galway, Forster Court Hotel has a lot of room options featured with state-of-the-art facilities. Forster Court Hotel is one of the highest-rated hotels in Galway. The location is centrally located in the city center with access to Galway’s best restaurants and bars. It is also right next to train and bus stations while Eyre Square is just a walking distance. Aside from the location, the design of the hotel is also very modern which adds more value to it. It also offers great meals from Hyde Bar and Gin Parlor. For starters, Forster Court Hotel has a double room for 1 person at $174 per night and a superior double room for $266 per night. Prices for other room options fall in the middle of this price range. Located in one of Galway’s top tourist destination, Eyre Square Hotel will surely not disappoint. Eyre Square is definitely on top among other mid-range hotels in Galway. This top-rated destination is close to the railway station and Galway’s central shops and bar. Guests can also enjoy a full Irish and continental breakfast, traditional Irish and European cuisine for dinner in Le Bistro Restaurant. Rooms (Classic single room to superior triple room) start at $203 to $322. Flannery’s Hotel is situated a bit farther from the city center but the nearby bus stops make it very accessible to the city center. This mid-range hotel in Galway is also highly-rated. Flannery’s Hotel is perfect for all type of travelers solo, couple, or family. The spacious rooms feature elegant hardwood furniture, comfortable beds, TV, and a work desk. There is also free parking on the site. Breakfast is also served and in the evening, international cuisines are available. Rooms in Flannery’s Hotel range from $139 to $263 per night. 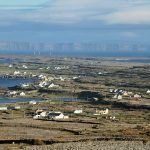 Although far from the city center, Maldron Hotel gives the guests a different experience to explore Connemara, West Island and other day trips from Galway. This 4-star modern boutique-style hotel is located 15 minutes away from the city center. It has spacious rooms with state-of-the-art facilities. Breakfast is also one of the things to look forward to this hotel. As well as, surfing, fishing, and horse-riding. Their range of Deluxe and Superior rooms start at $136 to $245. If you fancy a beachfront hotel with top services, you should check out Galway Bay Hotel where guests can stay for leisure and relaxation. Galway Bay Hotel has rooms overlooking the beautiful Galway Bay. 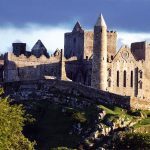 It is also located 5-minutes away from the cathedral and Galway’s lively center while Galway Golf Club is only 10 minutes away. Guests can also use the leisure center such as the gym and sauna. Room rates start from $221 to $357. 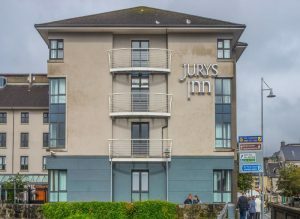 Experience leisure service in Jurys Inn; a hotel located in the best-rated spots in Galway. Guests here enjoy the services as well as the nearby attractions. A leisure hotel overlooking the Spanish Arc, Jurys Inn offers executive and standard rooms for guests who want to stay within the city center. Eyre Square and Galway’s shopping district are also nearby. You also shouldn’t miss its breakfast buffet. The hotel offers rooms priced at $200 to $350. If you’re looking for a hotel to explore Galway from tourist attractions to the best restaurants in the city, Clayton Hotel has the perfect location. It is also close to Galway’s major business parks. Clayton Hotel is a contemporary hotel with leisure facilities. Guests can enjoy a queen-sized bed in a room equipped with tv, desk, and private bathroom. The hotel also serves drinks and bar snacks. If you want to relax, they also have a sauna and steam room. The rate in Clayton Hotel starts from $135 to $227. With friendly staff, great breakfast, and comfortable beds, Menlo Park gives great value for your money. If you’re looking for a luxury hotel that’s accessible to Galway’s top tourist spots, you should check out Menlo Park Hotel. The hotel has a range of Classic Single rooms and Superior King rooms price from $164 to $220.